The historic Chateau Sycamore, 421 North Sycamore Ave, Hancock Park. Lower, left, front-facing. Walk to La Brea (restaurants, shops and showrooms), Melrose, Beverly design, restaurant areas. Minutes west to The Grove, CBS TV Studios, Beverly Center, the Design District, Sunset Strip/West Hollywood and Hollywood. Vintage 1930's French monitored, center-hall style. 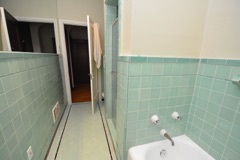 Hardwood floors, Mahogany millwork, working fireplace, original deco-tiled bathroom with separate shower and tub. Parking for one car in a garage, common area back roof patio, laundry on premises. Prime area of Hancock Park and Sycamore. Pics are from this and near identical unit in same property. There may be some color and detail differences. Available @ $3,695 lower front with updated kitchen and one garaged parking spot , or $3,550 without. 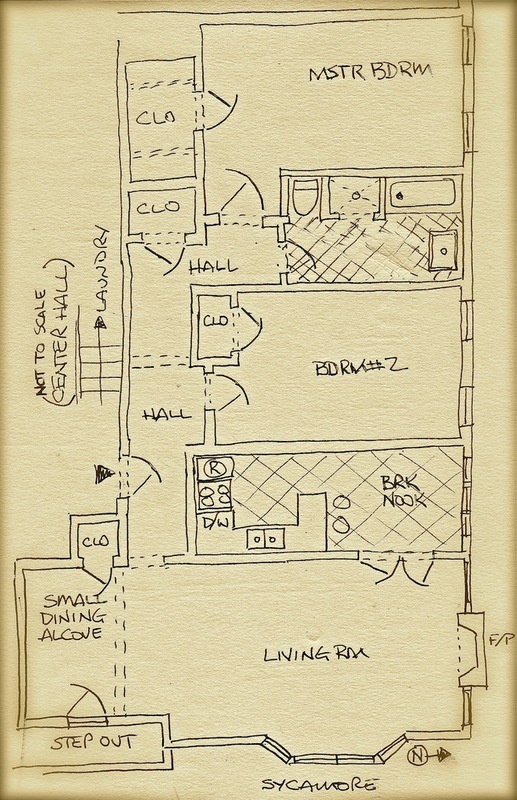 This is the floor plan for upper-front-facing unit, lower does not have the dining alcove (2 closets in it's place) and kitchen layout may differ slightly. There are some differences in each unit including colors, materials and some closet locations.